It”s finally here!! 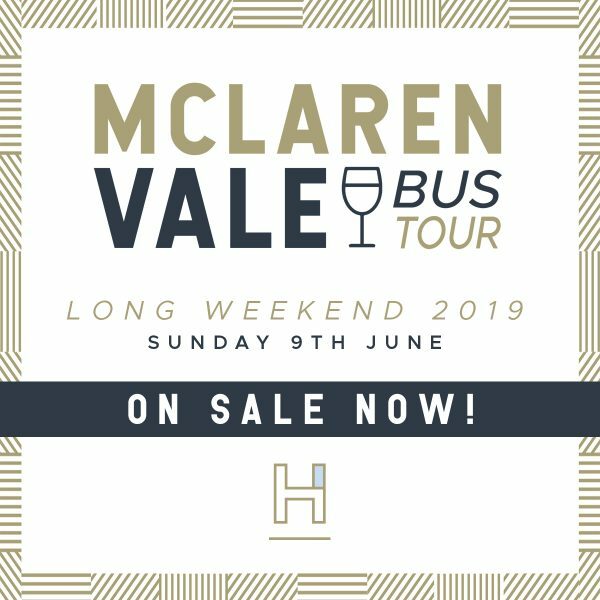 Once again we are heading off to the McLaren Vale for a huge winery trip. Get your group together now as once tickets are exhausted there will be no more. This event always sells out. It’s finally here!! Once again we are heading off to McLaren Vale for a huge winery trip, on the Sunday of the June Long Weekend! Get your group together, once tickets are exhausted there will be no more. This event always sells out. Premium deluxe coach transfers from The Havelock to each winery and back again for a full day of activities and fun. Meet at the Havelock 7am sharp. All ticket holders must be over 18 and drink responsibly. No Refunds unless ticket can be resold or event is cancelled. Buses will be held to strict schedule which will be given to all on the day. Due to strict schedules set by each winery, buses will not wait. The Havelock will not be responsible for people being left behind. Pick up and drop off will be at The Havelock only. No tickets will be posted. Once the tickets arrive to the hotel and have been allocated, you will be contacted to collect them before the date. This will streamline things on the morning of the event.